cPanel is one of the best and most widely used shared hosting control Panel. 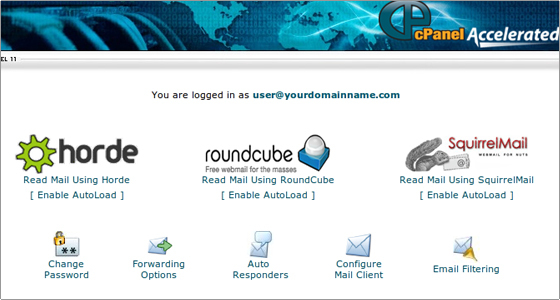 Many webmasters looks for this CPanel whenever they choose web hosting. There are a few themes for this control panel but basically they are the same. CPanel usually comes with Fantastico script installer. This script installer is able to easily install some popular scripts like phpBB, phpNuke, Blog, Drupal, OsCommerce, WordPress and etc. Why my clients prefer cPanel control panel ? and other databases. It helps to manage an unlimited number of websites or email accounts. Michelle J. : cPanel comes with Web Host Manager (WHM) as standard, although shared hosting users will never see WHM unless they upgrade to reseller or VPS hosting. The cPanel side is for the website owner, whereas WHM is for the server administrator. The GUI interface is very easy to use and simplified my task. What are the Pros of using cPanel ? Powerful File Manager – cPanel provides the most interactive user experience when it comes to managing and editing files. Not only can you browse the files on your website/Hosting you can Modify, create, edit, move, upload, download, compress, decompress to enable user to edit their files in a efficient and hassle-free manner. 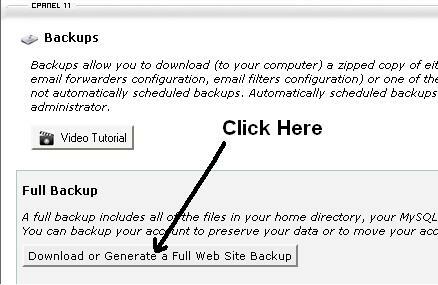 Backup – There is also a simple button to backup the entire website. Site Statistic & weblog – There are build-in weblog and site statistic tool, but I would recommend you to try out Google Analytics for more precise & more informative web statistic. SSH Access – For advanced users, this allows them to manage there data using a Secure Shell Connection. Password Protect Directories – Have a section of your website you don’t want the whole world to have access to? Then this option is for you. It easily allows you to password protect a directory on your website so that only those that have the password will be able to view it. IP Deny Manager – This feature enables you to deny a specific IP address from viewing your web site, you can add as many IP’s as you need, or you can add an IP address range. Hotlink Protection – Don’t want someone linking to pictures on your web site to other websites? With the Hotlink Protection tab you can disable this in a matter of seconds! This also applies to other files other than pictures. Leech Protect – Have a member of your website giving out there account details? This allows you to deny the said account access to a directory on your web site. SSL/TLS Manager – Do you require a Secure Site(SSL)? This is where you can add your pre-purchased certificate.